One of my favorite things about the holidays is the FOOD. Let’s get real here. No one really eats a boatload of peppermint or stuffs their faces with gingerbread during any other time of year. And if we’re being honest, I only really care about things like hot cocoa and truffles when the temps drop and the Christmas lights come up. There’s just something so heartwarming (besides the temperature, of course) and Christmas-y about hot chocolate. It’s delicious, it’s belly-filling, and it just reminds me of sugar plum fairies and freshly fallen snow and magical things that Christmas evokes. 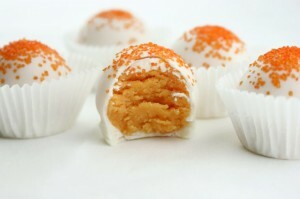 And if you add in special flavors, like peppermint or hazelnut, it becomes even more special. Around this time of year, there’s a local neighborhood that goes all out for Christmas. Every house on the block is decked out in millions of twinkling Christmas lights, tons of animated characters that sing and dance, and and lots of Christmas music wafting through the air. Because of the huge spectacle, there’s always a HUGE line of cars waiting to drive through the neighborhood to ogle all the sparkling lights. But since I don’t have the patience for traffic, I always end up parking at the nearest coffee shop, order an extra-large hot chocolate, and walk the neighborhood with my family and friends. It’s so much nicer to be able to stop and check out the houses or the crazy decorating while you sip on piping hot cocoa and just walk through the neighborhood at your own leisurely pace. 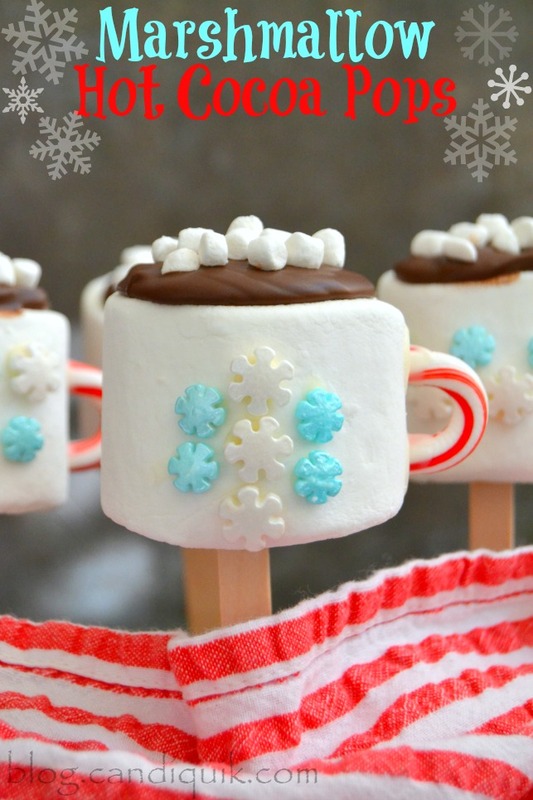 That neighborhood and my hot chocolate tradition were the exact inspiration for these adorable Marshmallow Hot Cocoa Pops! 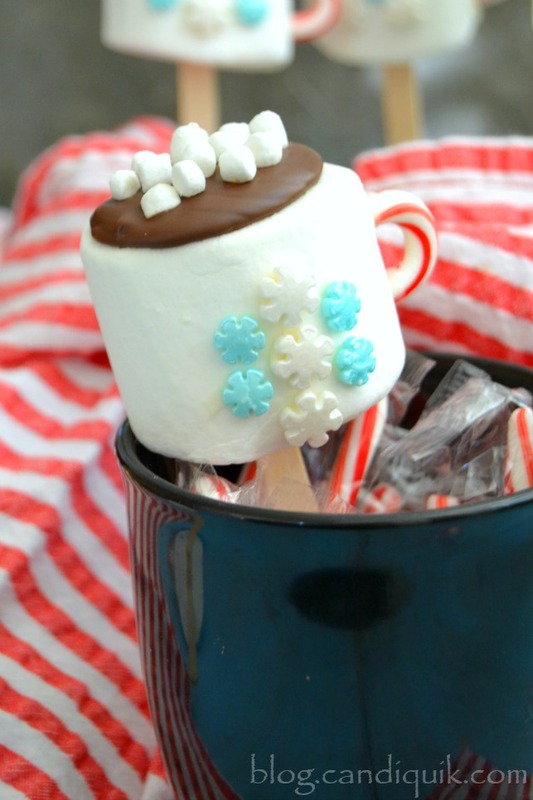 They are such a cute and easy craft to make with the kids on a blustery snow day, and they would also make a fun little gift along with a specialty mug and a packet of hot cocoa to a friend, teacher, or coworker. 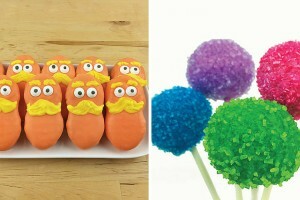 You can also make as many or as few pops as you’d like — just adjust the amount of CandiQuik and other ingredients as needed. These adorable Marshmallow Hot Cocoa Pops couldn't be simpler to make and leave such a great, festive impression! Engage the kids in the decorating process and gift these specialty sticks along with a mug of cocoa to friends, family, coworkers or teachers! First, make your mugs. 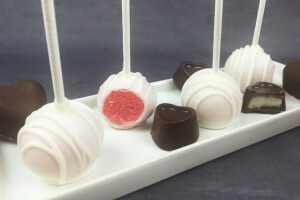 Stick a lollipop stick into the bottom of each jumbo marshmallow, gently pushing it about ⅓ of the way through or enough so the marshmallow is secured on the stick. Gently place the sticks into a styrofoam block to keep them upright. Melt your Vanilla CandiQuik according to package directions, using the amount you need for the amount of total pops you'll be making. (For about 24 pops, you'll only need about 1-2 squares of Vanilla Candiquik.) Snap off the long part of the miniature candy canes so the arc remains. Dip the arc's tip into the Vanilla CandiQuik and gently push it through the side of the marshmallow to create the mug's handle. Use the remaining Vanilla CandiQuik to gently attach holiday sprinkles to create the mug's design. Next, fill your cups! Melt the Chocolate CandiQuik according to package directions, using the amount you need for the total amount of pops you'll be making. 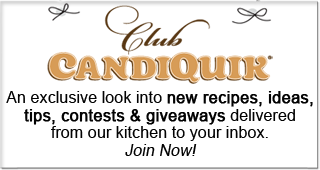 (Again, for about 24 pops you'll use about ½ pkg of Chocolate CandiQuik). 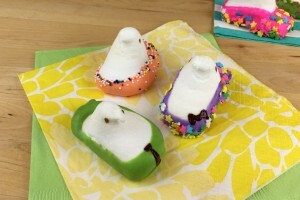 Pour the melted CandiQuik into a piping bag or a resealable plastic bag. Seal out the air and snip off a corner of the bag. 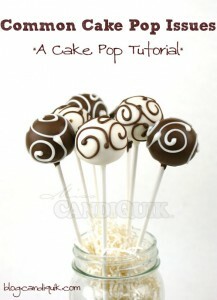 Pipe the melted Chocolate CandiQuik onto the top of each pop to create the hot cocoa filling. 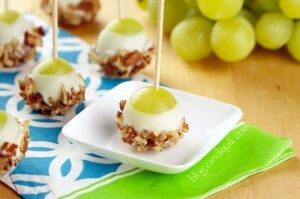 Immediately top with miniature marshmallow bits for garnish. 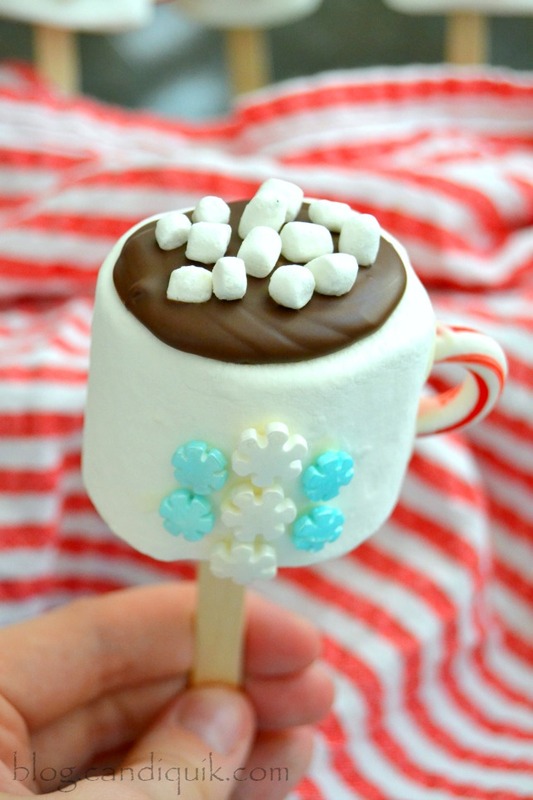 You could also sprinkle in sprinkles or crushed candy cane bits for a peppermint hot cocoa pop!